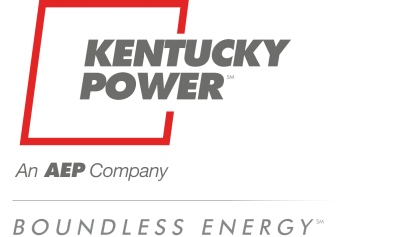 The class participates in three sessions, taking place from April through June 2019 in Owensboro, Prestonsburg, and Lexington. Class members will hear from thought-provoking Kentucky leaders, learn about issues and opportunities facing our state and gain insights about personal leadership abilities. Class members will also engage in panel discussions, participate in experiential learning opportunities, gain increased leadership skills, and receive both regional and statewide perspective while traveling across Kentucky. Cameron Ruddell – Lexington, KY - Wehr Constructors, Inc.
Landan Stallons – Hopkinsville, KY - Planters Bank, Inc. 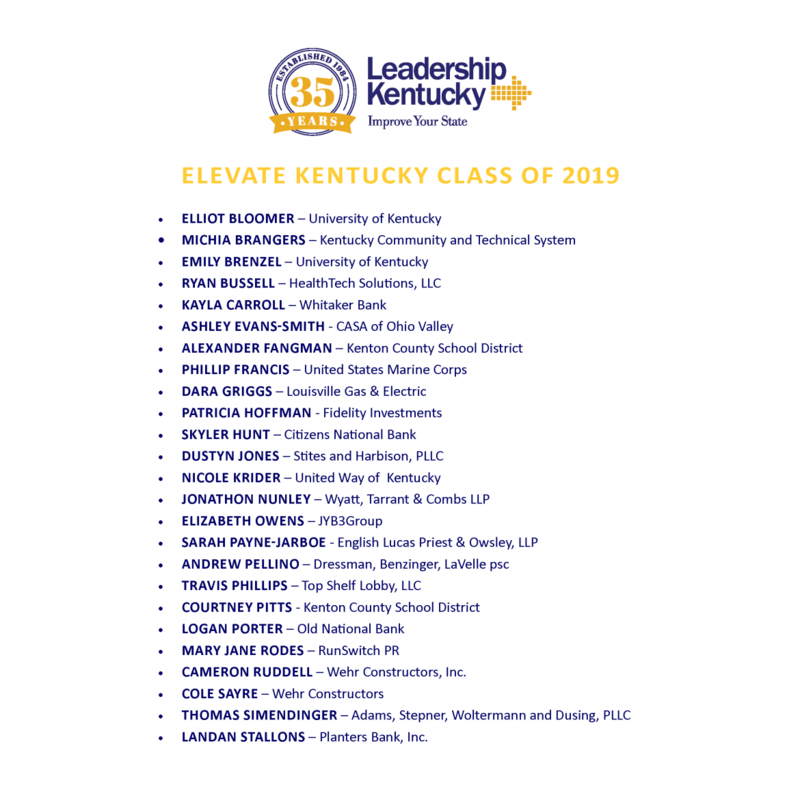 The Leadership Kentucky Foundation offers three unique programs: Leadership Kentucky, Elevate Kentucky (for young professionals), and New Executives to Kentucky, (for senior level executives who have lived in the state for less than two years). For more information, please visit www.leadershipky.org. Leadership Kentucky, created in 1984 as a non-profit educational organization, brings together a select group of people who possess a broad variety of leadership abilities, career accomplishments, and volunteer activities to gain insight into complex issues facing the state. Our goal is to prepare our participants to take an active role in advancing the state for the common good. By fostering understanding of how the state’s issues are interconnected, and by forging new relationships among community and regional leaders, Leadership Kentucky graduates bring a fresh and informed perspective to their communities and companies, serving as important participants in the unified effort to shape Kentucky’s future.